Are there any hotel-related maps? I can't seem to find a map for Doom anywhere that looks like a hotel. Do they even exist? 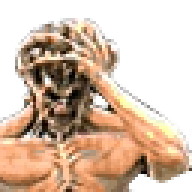 Why do I even want a hotel map for Doom? I don't know. Not Doom, but E3M9 (Hotel Hell) in Duke Nukem 3D is a pretty good hotel level. It would be nice to link to the page where the wad is hosted, rather than a direct download, as I would assume most people would want to read about it and make a decision whether to download it or not. There is this old level called Hotel Hell. It was one of my old favorites. OK. I found it in /idgames, but it is an older version. An oldie called the last resort? Map 16 of rot90fix.wad is a city map with a hotel (and theatre), Doom Barracks Zone also has a few city maps with hotels. Wait... That map is supposed to be an Hotel? It doesn't look at all like that! It's kind of a "resort jungle hotel" those are apparently bungalows. I thing the read message text gives the impression of the player going into a vacation, those being the hotels. In fact there is an area that kinda looks like a reception room. I once made a map set in a hotel. It plays like crap though. I like seeing all of these maps here! Playing Duke Nukem 3D I loved playing the Hotel Hell level, so I look forward to playing these.